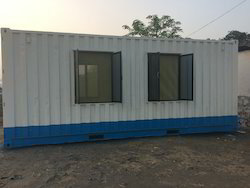 Leading Manufacturer of office site container, wooden office cabin, prefabricated office container, galvanized office container, portable office container and site office container from Navi Mumbai. 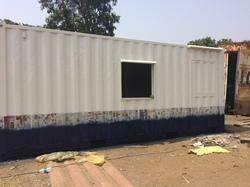 We are the leading manufacturers & suppliers of Office Site Container. Imperial offering Office site container from last one & half decade with good quality & less maintenance. Imperial Cabin With our decade of experience, we are catering to the varied requirements of our clients by introducing the quality array of Wooden Office Cabin that gives the workers comfort and peace of mind. Our offered office cabins are widely appreciated by the customers owing to its high strength, elegant design and modern look. 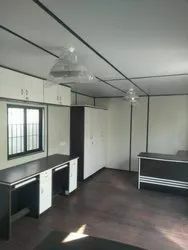 The provided office cabins are constructed by using the finest quality components and sophisticated technology in line with industry quality norms. We are offering Prefabricated Office Container to our clients. We are offering Galvanized Office Container to our clients. With our decade of experience, we are catering to the varied requirements of our clients by introducing the quality array of Wooden Office Cabin that gives the workers comfort and peace of mind. Our offered office cabins are widely appreciated by the customers owing to its high strength, elegant design and modern look. 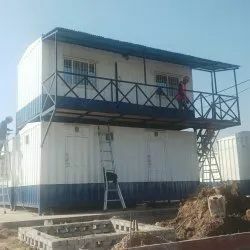 The provided office cabins are constructed by using the finest quality components and sophisticated technology in line with industry quality norms. 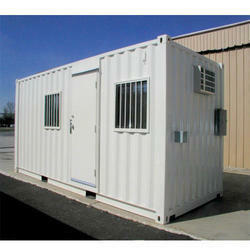 We are offering Portable Office Container to our clients. 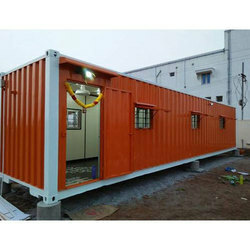 We are offering Site Office Container to our clients. 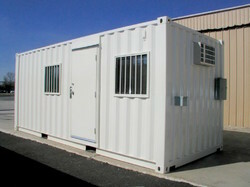 We are offering Movable Office Container to our clients.